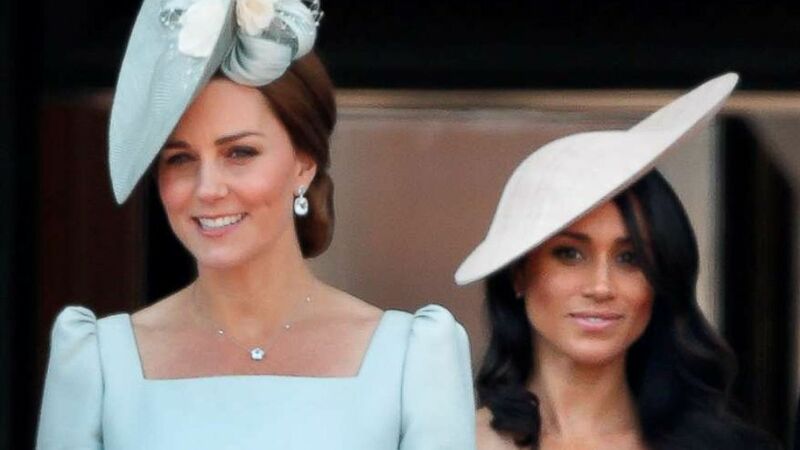 Kate Middleton, the Duchess of Cambridge, and Meghan Markle, the Duchess of Sussex, are not immune to the harassment and bullying that many women experience online. Kensington Palace aides devote hours each week to moderating and deleting violent, sexist and racist comments directed at Meghan and Kate and the palace has even turned to Instagram for help, according to a new report in Hello! magazine. "The palace has been talking to Instagram and they are working on ways to improve the situation," the magazine’s royal correspondent, Emily Nash, told "Good Morning America." "I’ve been told that police have been involved in a couple of situations." Cheers to a fashion-forward brand that gives back. The Duchess of Sussex is now patron of the charity, Mayhew. The Instagram and Twitter accounts of Kensington Palace that document the public engagements of Kate and Meghan, in addition to Prince William and Prince Harry, have a combined audience of more than nine million followers. Kate, a mother of three, is married to Prince William and will one day be queen. Meghan, who is expecting her first child, is a California native who wed Prince Harry last May. 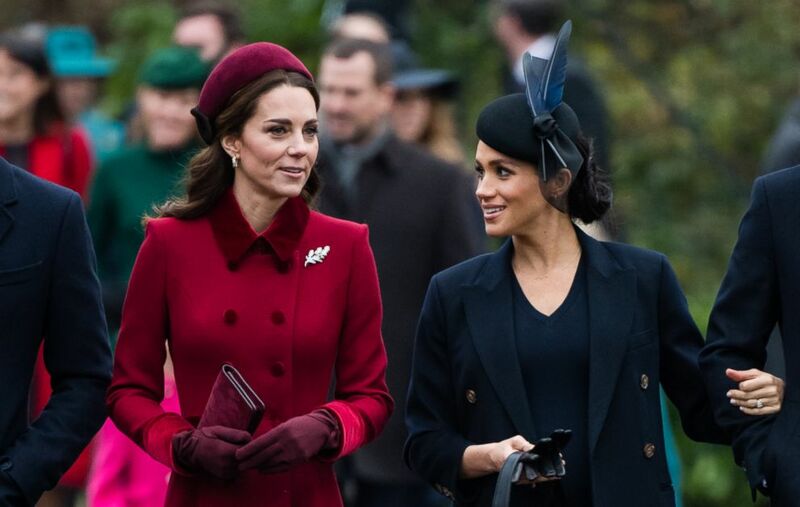 The British media has circulated reports for weeks about rumored rivalries between the two royal wives and difficulties Meghan is facing as she adjusts to her new life as a member of England's royal family. The online bullying has been directed not only at Meghan and Kate as fans seem to take sides, but also between fans who go after each other in the comments, according to Nash. 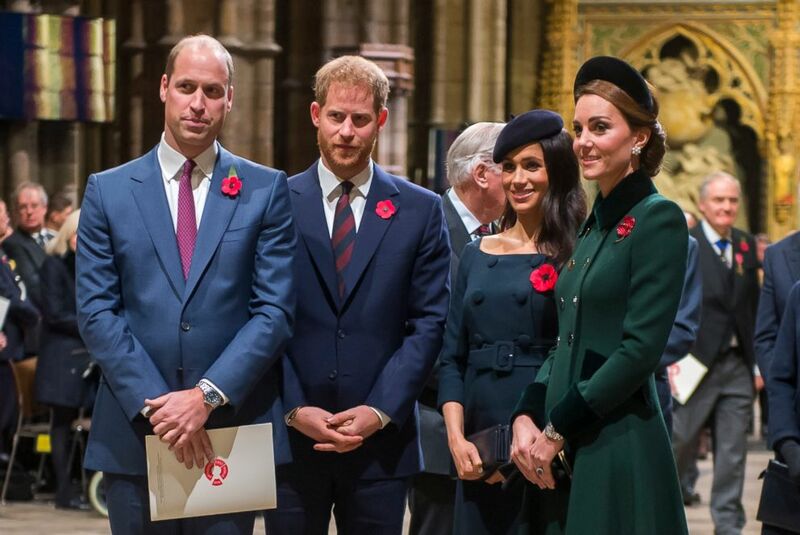 (WPA Pool via Getty Images, FILE) Prince William, Duke of Cambridge and Catherine, Duchess of Cambridge, Prince Harry, Duke of Sussex and Meghan, Duchess of Sussex attend a service marking the centenary of WW1 armistice at Westminster Abbey on Nov. 11, 2018 in London. "A lot of it is very petty -- a lot of body shaming and criticizing how they walk, how they look -- and a lot of this is coming from women," she said of the criticisms directed at the royals. "Meghan is a newcomer so there is a lot more scrutiny on her." You do not have to pick a duchess. You should not pick a duchess. You should watch and admire and think critically about both of them. You do not have to love everything they both do. You should not. That’s not interesting. "It feels like it has reached a tipping point now and it can’t go on like this," Nash added. Elizabeth Holmes, whose “So Many Thoughts” posts on Instagram about the royals are a must-follow, said she employs a "Team Both" philosophy and asks her followers to not pick sides. 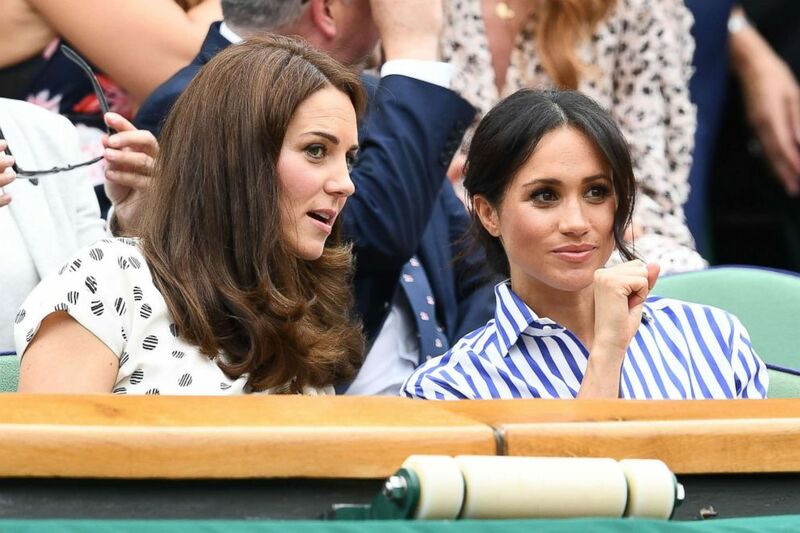 (Clive Mason/Getty Images, FILE) Catherine, Duchess of Cambridge and Meghan, Duchess of Sussex attend day twelve of the Wimbledon Lawn Tennis Championships at All England Lawn Tennis and Croquet Club on July 14, 2018 in London. "You do not have to pick a duchess," she said Monday in an Instagram story. "You should not pick a duchess. You should watch and admire and think critically about both of them." "You do not have to love everything they both do. You should not. That’s not interesting," Holmes said on Instagram. "You should be able to think critically and constructively and thoughtfully about what they do and form opinions without getting nasty." The kind of bullying and harassment Meghan and Kate are experiencing online is not unusual for women, data shows. More than half of people who report online harassment in the U.S. are women, according to data shared by the Women's Media Center, a nonprofit organization working to raise the visibility of women in media. Women receive more abuse online than men and this sad truth seems to apply just as much to the royal family. "When men face online harassment and abuse, it is first and foremost designed to embarrass or shame them," the center said in a guide on online abuse. "When women are targeted, the abuse is more likely to be gendered, sustained, sexualized and linked to off-line violence." The findings of a large-scale study released last year by Amnesty International called Twitter a "toxic place" for women. The study found that female politicians and journalists, across both the U.S. and the U.K., were abused every 30 seconds on Twitter in 2017. Women of color, particularly black women, were more likely to be mentioned in abusive tweets, the study found. The Times noted the disparity in negative comments towards William and Harry versus Meghan and Kate in an editorial titled "Vile Abuse." (Max Mumby/Indigo/Getty Images, FILE) Catherine, Duchess of Cambridge and Meghan, Duchess of Sussex stand on the balcony of Buckingham Palace during Trooping The Colour 2018 on June 9, 2018 in London. "Women receive more abuse online than men and this sad truth seems to apply just as much to the royal family,” the newspaper said. Hello! Magazine, led by Nash, launched the #HelloToKindness campaign this week to "champion positivity online" after seeing an increase in the negative comments posted on its own social media channels. "We noticed a 50 percent increase in comments that we were having to delete or block or report, particularly around anything involving Kate or Meghan," Nash said. "We pride ourselves on being a positive place and felt a duty to our readers to maintain that happy atmosphere on our platforms." Nash noted #HelloToKindness was not created to defend the royals or other celebrities, but in response to demand from followers for a safe space to interact online. She said she has been trolled since launching the campaign. "You’re not going to be able to convince everyone but that’s fine," Nash said. "The vast majority of people have received this in the way it was intended, which is entirely positive."